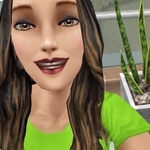 "Glamorous clothing for teen female Sims"
"Glamour outfits for teen female Sims"
"A Designer House with modern furniture, Summer clothes, more hair styles plus bonus Simoleons and LP!" This pack comes with 30,000 simoleons and 20 LP. "Tap an Adult, Teen or Senior for unique anims"
"Glamour dresses & shoes for adult female Sims"
"Brand new glamour clothing for adult females"
"Brand new glamour clothing for teen males"
"Stylish new carpets and wallpapers"
"Gorgeous maxi dresses for Adult Females"
"Evening wear for Adult Males"